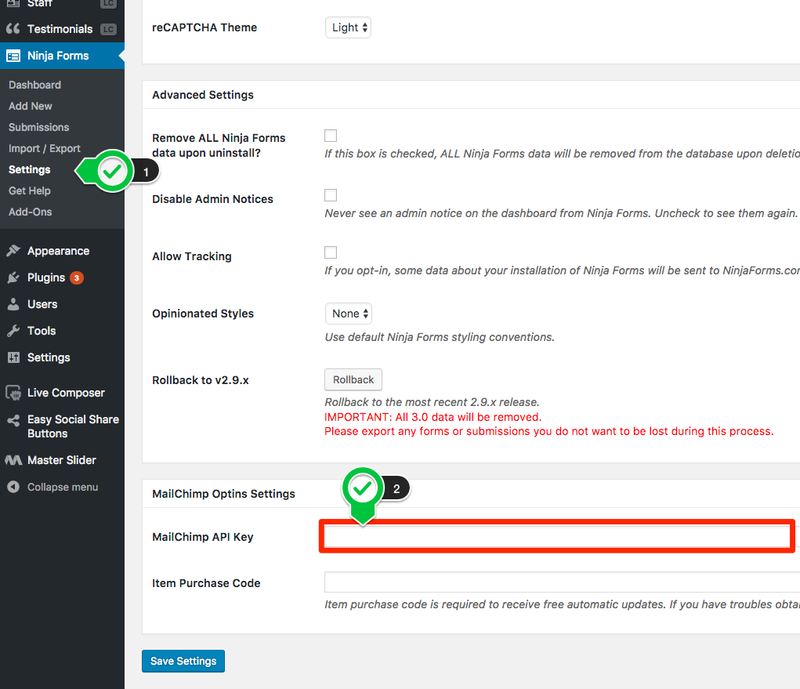 Go to WP Admin > Ninja Forms > Settings and scroll down the page. A wrong API usage will break your website (500 server error). The API should be something like: 390d408b1cef19bdb62750efb8c0ae8-us6.